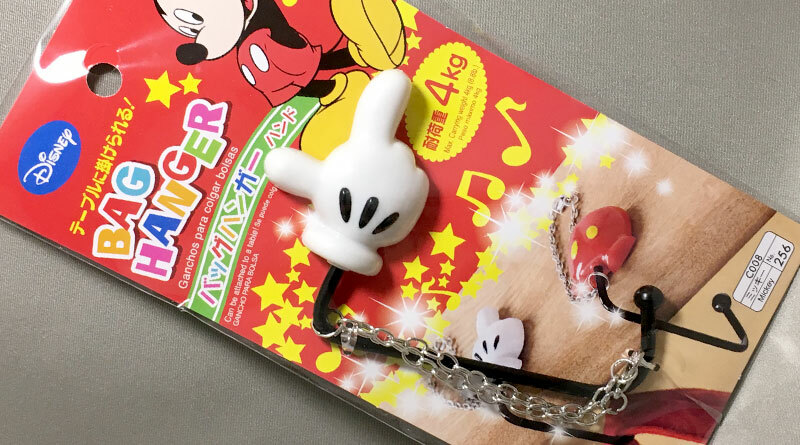 Protect your bag from dirty floors with the Mickey Bag Hanger from Daiso. This simple hook can be used to hang up bags, purses on the edge of a table. 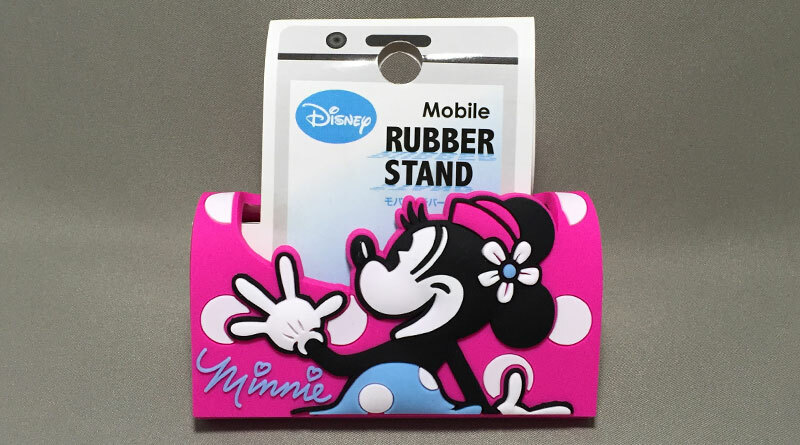 The Minnie Mobile Rubber Stand, just like the Mickey Mobile Rubber Stand from Can★Do is the Crocs for mobile devices. 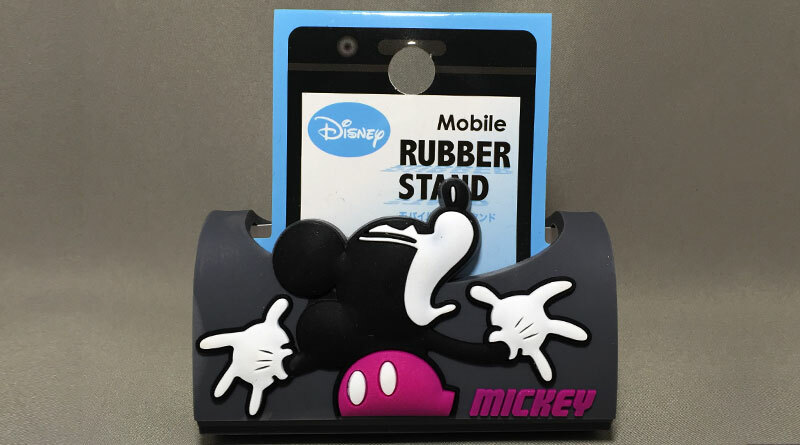 The Mickey Mobile Rubber Stand from Can★Do is the Crocs for mobile devices. 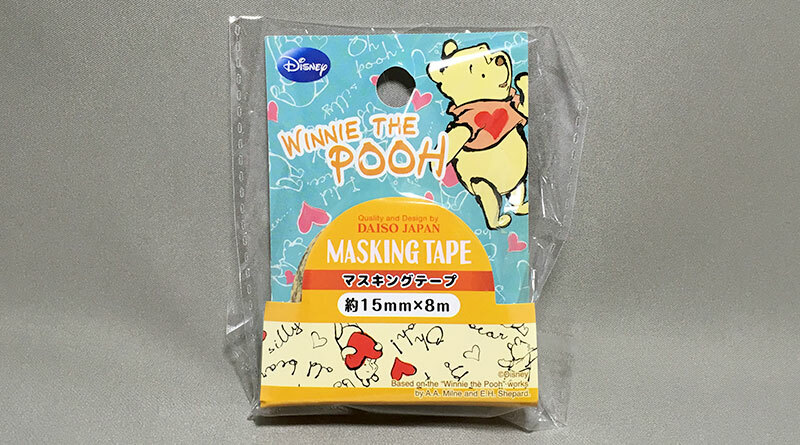 The stand is made from one piece of dark grey flexible soft rubber, and features a ‘shocked’ Mickey Mouse 3D embossed on the front. Hey Mickey, my phone keeps slipping off the dashboard, give me a hand! 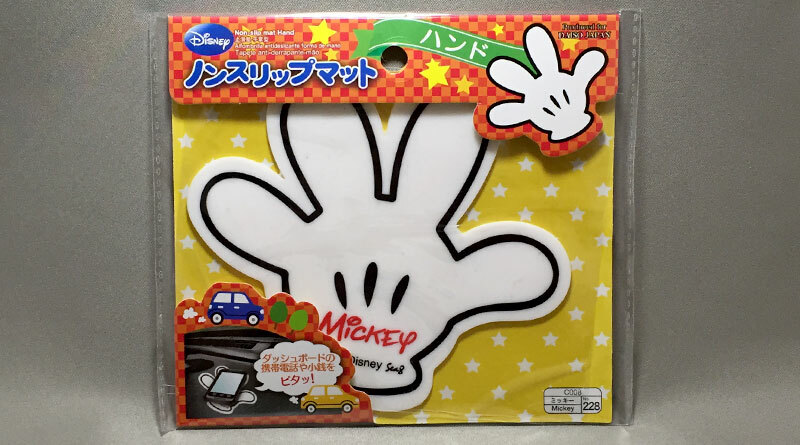 This adorable silicone non-slip mat is shaped in Mickey Mouse’s white gloves. Here is a cute item for the kitchen if you cook rice often. 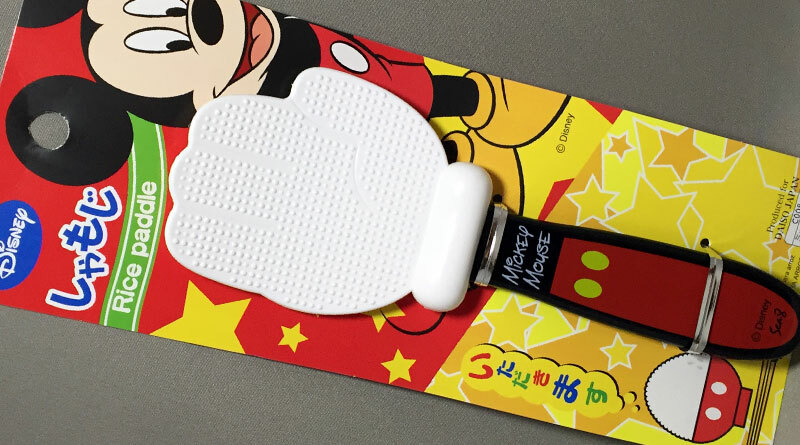 The Disney Mickey Mouse Rice Paddle or Shamoji is shaped in Mickey’s glove.